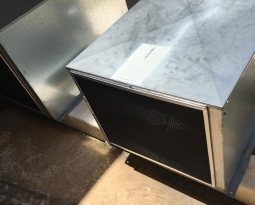 An air filter bank located at a major hospital in New York had a problem with air filters being damaged by outdoor environmental moisture being pulled into them by powerful air handlers. 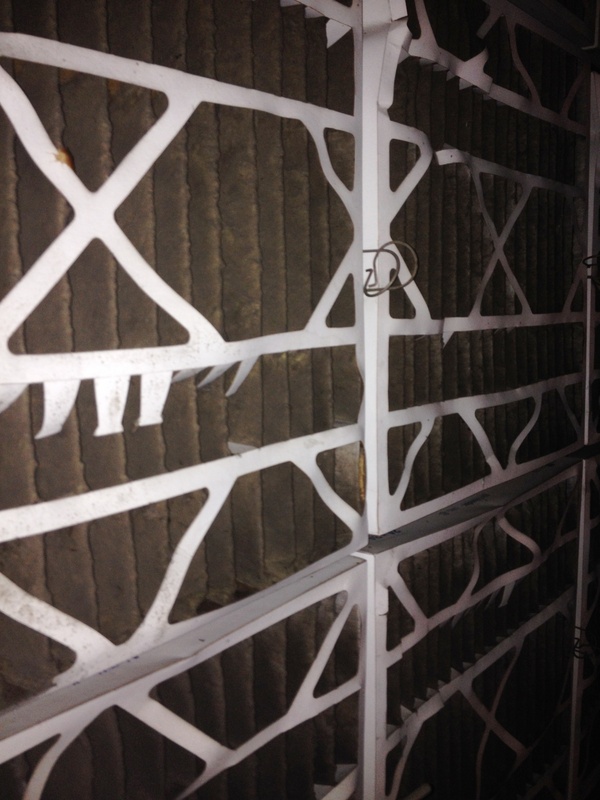 The pleated disposable air filters were failing prematurely, requiring frequent and costly change-outs. Model IN filters replaced the pleated disposables three months ago. 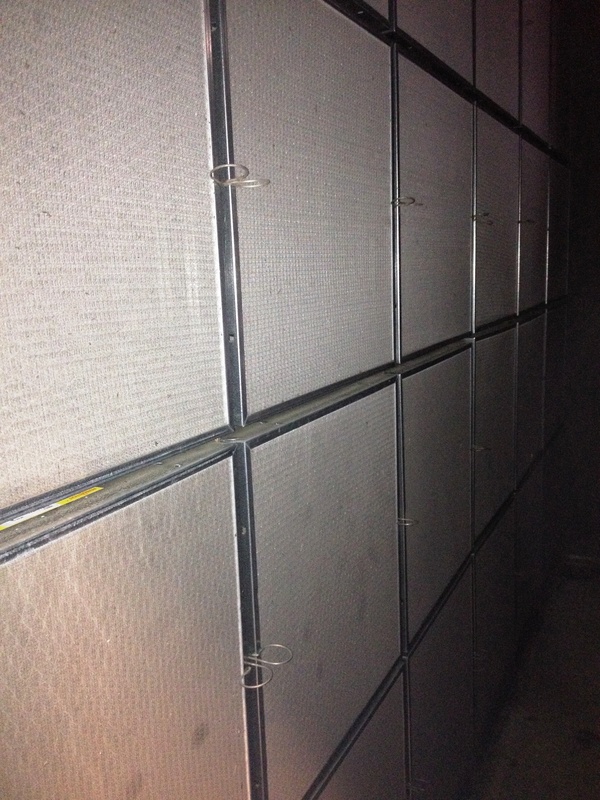 Custom sized for any application, the 2″ thick steel framed electrostatic air filters contain woven polypropylene media. Because the media is manufactured as a mono (single strand) filament, it does not have a porous surface. 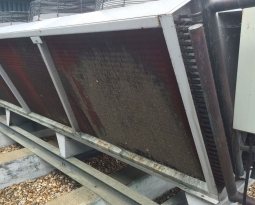 This means it will not absorb or retain moisture, and does not encourage the growth of mold, bacteria, viruses, yeast or fungi, which are all common complaints in damp environments. 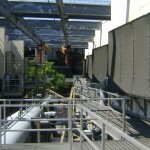 Model IN utilizes Permatron’s exclusive Accumulator Chamber® design, consisting of two electrostatically charged fabric panels separated by our unique ACCUMULATOR CHAMBER® produces a very effective three-stage filtration process. 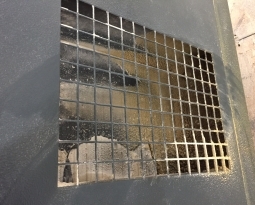 The benefits of cleanability and long-term durability in high air velocity systems or caustic environments gives you the least cost over useful life, energy efficiency and and environmentally friendly solution to your panel air filtration needs. 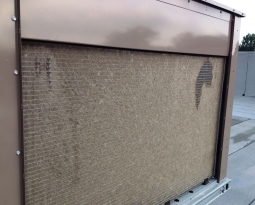 Working extremely well in this type of environment, the hospital just ordered more washable electrostatic Model IN filters for a second air handler filter bank, and have seven more that will use the same filters. For more information on Permatron’s Model IN commercial/industrial air filter, click here.